See Being in hospital is soooooo boring. At least there's a TV to distract you though? Well unless you are unable to sit up or worse still you are stuck lying on your back. 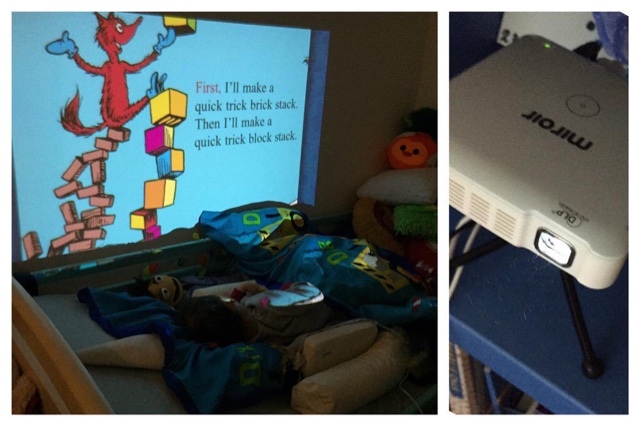 For less than £250 we for a projector, iPad connector and a clamp. 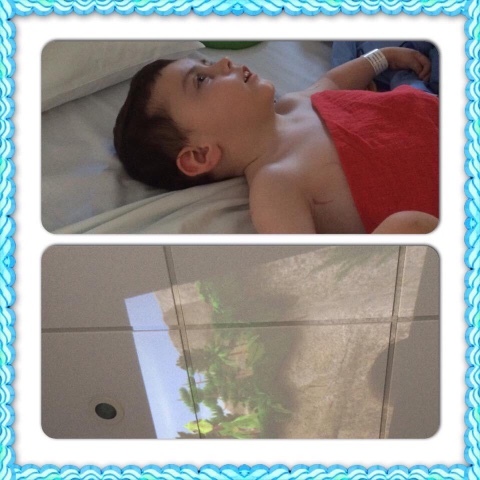 Now all the other kids are jealous of Macsen as they share their 15" TV while he has a 60" screen on the ceiling!